Used Audi A4 Review - 1995-2001 Servicing, MPG, Insurance | What Car? What used Audi A4 estate will I get for my budget? 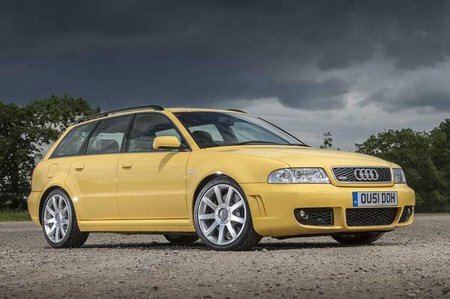 How much does it cost to run a Audi A4 estate? First the bad news: if it goes wrong, it's going cost you, according to data from Warranty Direct. Now the good news: they rarely go wrong. So choose a good one - have it inspected professionally before you buy, and you shouldn't have much to worry about. Standard servicing costs are reasonable, and you can cut labour rates by as much as 40% by going to one of the many Audi/VW specialist garages rather than a franchised dealer. Insurers shouldn't fleece you either, provided you steer clear of the top-trim 2.8 and 3.0 V6s, which are in group 17. A basic 1.6 petrol car qualifies for group 10 and a well-equipped version of our favourite 1.9 TDI weighs in at group 13. Our 1.9 will also be easy on the wallet when you fill up - its official average is over 50mpg. The 1.6 and 1.8 petrols should be good for mid-30s, the V6 2.5 TDi turbodiesel about 40mpg and the petrol V6s high 20s.